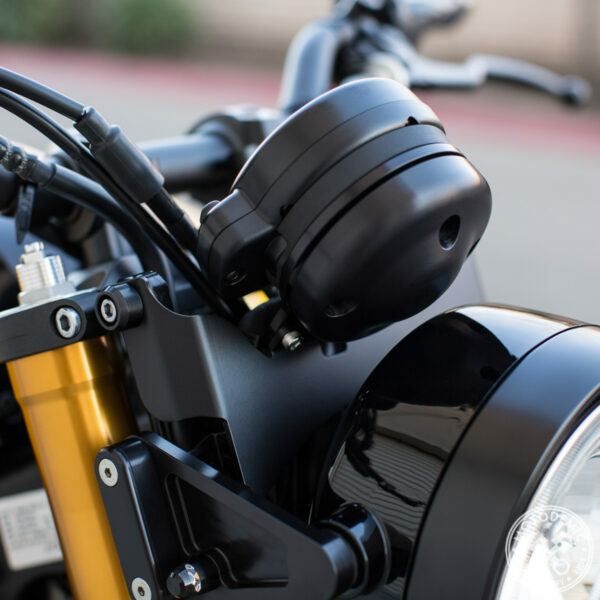 Clean up the handlebars and streamline the front of your bike with the XSR 900 Gauge Relocation Kit by Motodemic. Choose from a black back cover included standard, if you’ve already purchased the back cover you can select “none”. 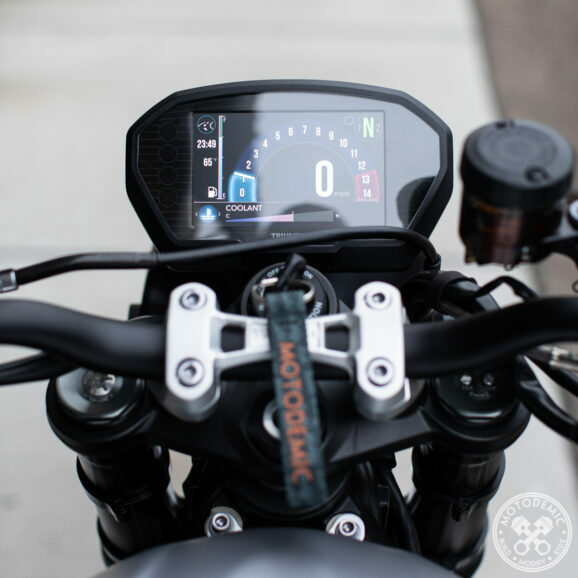 Clean up the handlebars and streamline the front of your bike with the XSR900 Dash Relocation Kit by Motodemic. 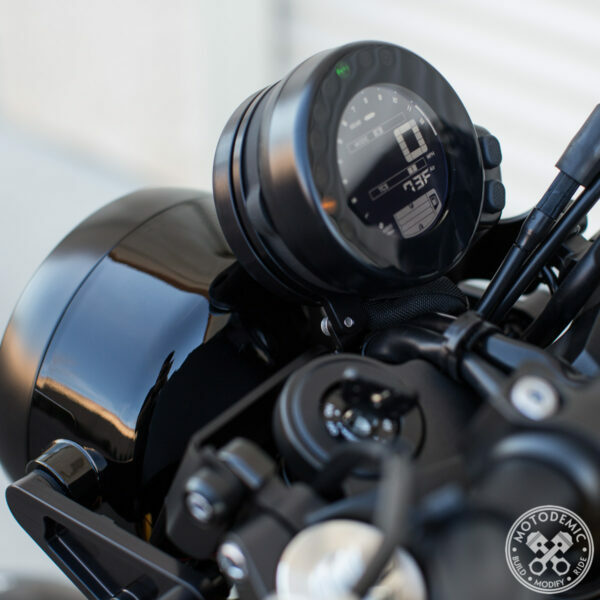 This kit repositions the location of the Instrument Panel by lowering it about three inches while still completely in view with a quick glance. 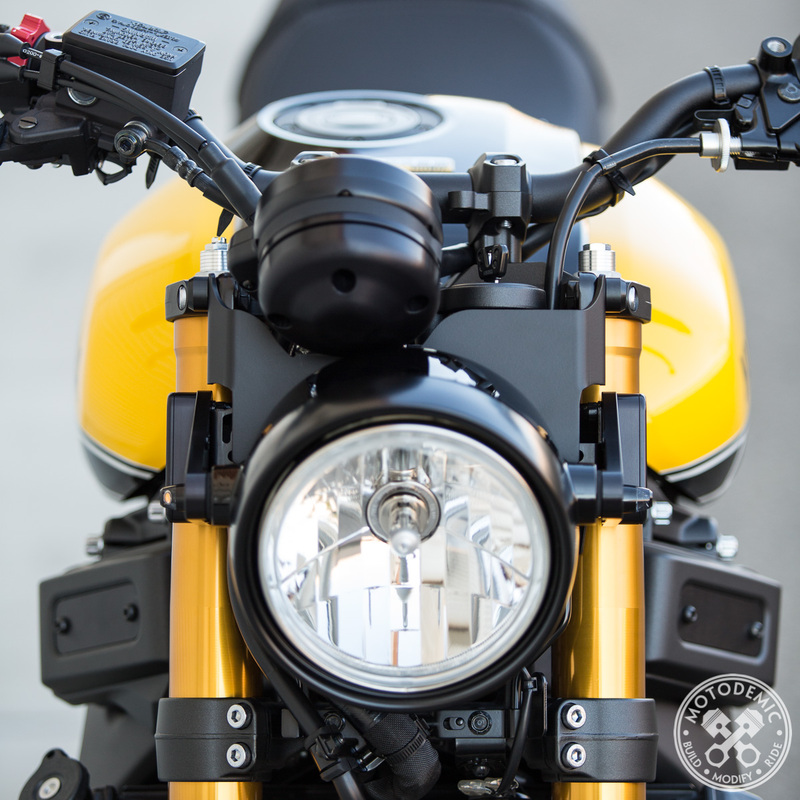 Fits with stock headlight brackets, our XSR 900 Headlight Brackets, and our XSR 900 7 Inch Headlight Conversion. 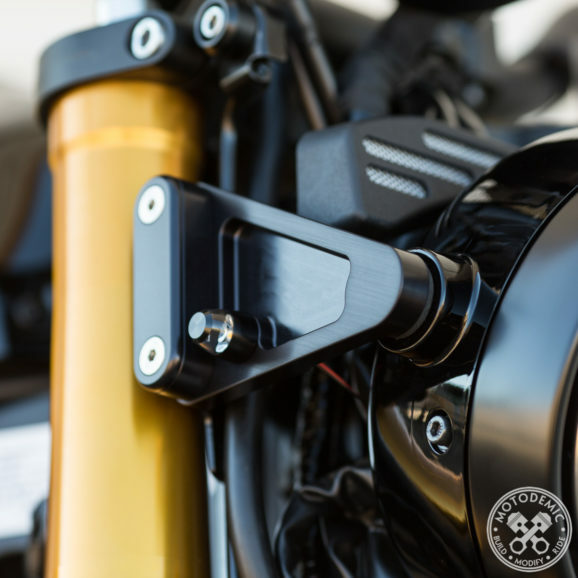 Support Bracket laser cut and formed from aluminum and finished in a high-quality black powder coat. Gauge Bracket and Cover have been machined from US sourced 6061-T6 aluminum then hand brushed before being anodized in a deep black. Stainless Steel Hardware and Hex Tools Included. 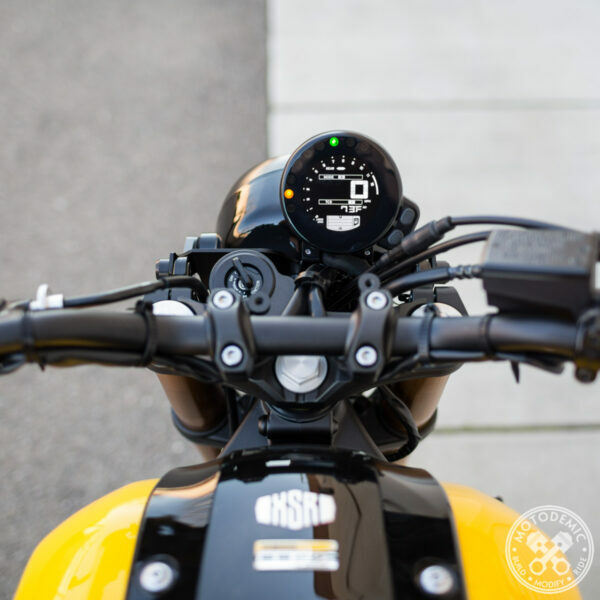 The protrusion of the abrupt meter of XSR 900 gets down about 10 cm downward with this gauge relocation kit, so it looks better as refreshing around the handle! When I bought it, there was only North American specification still, and it was impossible to install it with no processing on the Japanese specification XSR 900. 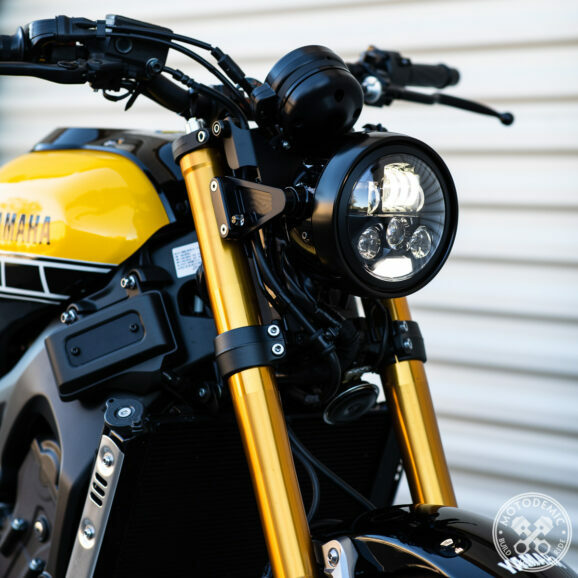 However, as soon as you tell it to the motodemic side by emailing it, , I immediately sorted things that were adapted to Japan specifications and made improvements. The motto of sincerity on the side of motodemic side and the quality of the product are also wonderful so I could do very good shopping this time. If there is a chance again thank you! We just installed the Guage Relocation Kit on our new XSR 900 and are thrilled with the aesthetic difference it makes cleaning up the front of the bike. The difference was even more positive then we anticipated. The video instructions were easy to follow and it was super easy to install – it took maybe 30 minutes and we were being very casual about it. We installed it along with the Woodcraft clip on adapters/bars and highly recommend that if you do the clip ons you do the gauge relocation kit as well. 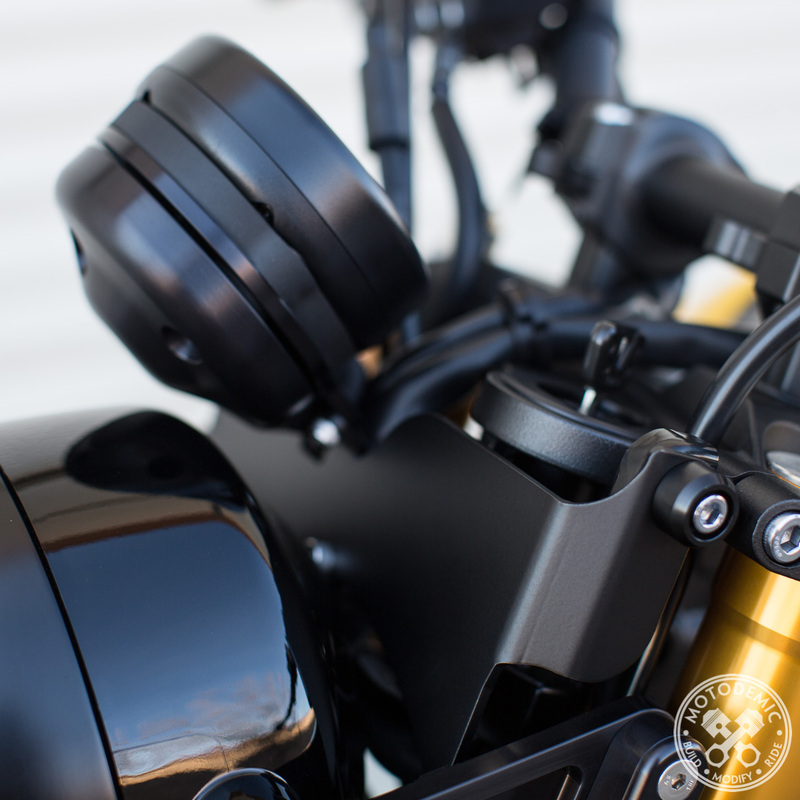 Not only do they really look good together but the clutch cable routes much more cleanly behind the relocation kit front bracket then with the original set up, at least with the 1″ rise clip ons that we’ve installed. I am very happy with the relocation kit, with the gauge cover, the messaging with the staff, the shipping time and the new look of my bike. -The materials and manufacturing quality are excellent. -The installation is straightforward and anybody with a minimum of skills can install the kit and the cover with ease. 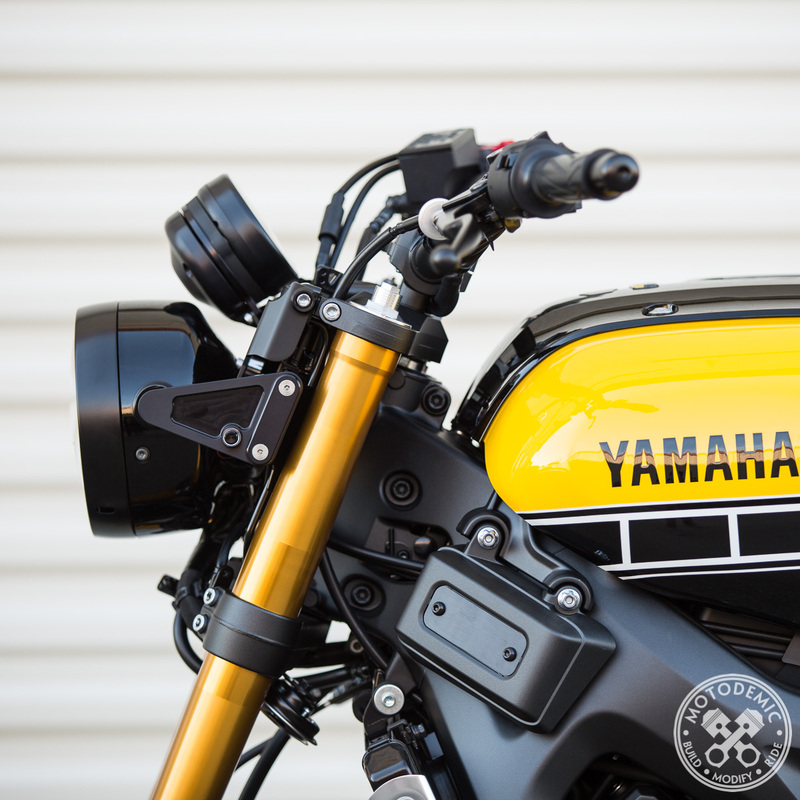 -The look of the bike is really improved with this simple modification. The photos can’t show the new general lines of the bike, offering a wave line from front to back. I have also changed the original mirrors for another aftermarket, much more smaller, placed at the end of the handlebar, and using the one-seat original kit. 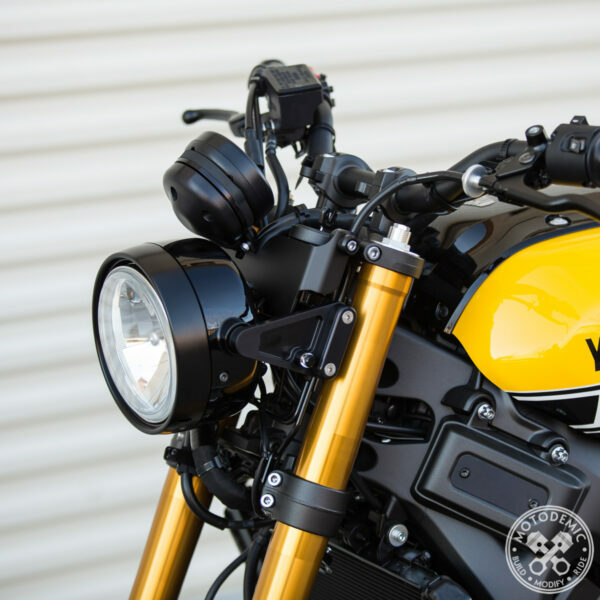 In this simple configuration, the general line looks more smooth and consistent, grouping the bike, adding some sort of cafe racer look, and giving personality to the bike. -Riding the bike after relocating the gauge presents no issues. It is easy to see and reach if necessary. -Wind drag is reduced and handling is comfortable. -The process to order the part was easy and the parcel came in few days. I have only good words about the product, the staff that attend my questions, and the overall experience. I would suggest to add a cheaper shipping option for those with no hurry on having the parts and/or willing to save some money. Anyway, this wasn’t a deterrent for getting the parts. In conclusion, this is a hight quality product, highly recommendable, good balance quality-price, that will bring you joy and smiles while riding your bike, as well as a lot of curious eyes. 5 stars. Can’t stress enough my satisfaction. MOTODEMIC © 2019. All Rights Reserved.